Professor Sheryl Gracewski is the 2017 recipient of the Hajim School Lifetime Achievement Award. Imagine chaperoning 20 or so engineering students to places like Alabama, Tennessee, California, and Kansas every spring so they can race their off-road vehicle for four days against other university teams. Four days of dust, noise, oil leaks, mechanical breakdowns, and lack of sleep. Sheryl Gracewski, professor of mechanical engineering and biomedical engineering, has been there, done that for almost 20 years with our Baja SAE team. 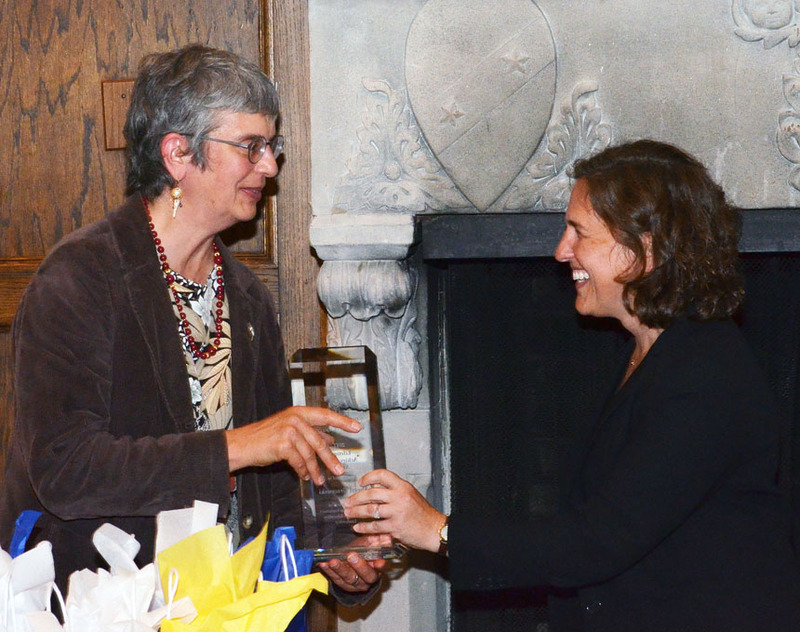 “That’s called ‘service,’ an often unheralded but vital part of what a faculty member contributes to a department, to a university – and most of all, to our students,” said Wendi Heinzelman, dean of the Hajim School, at the school’s 2017 reception at Oak Hill Country Club. 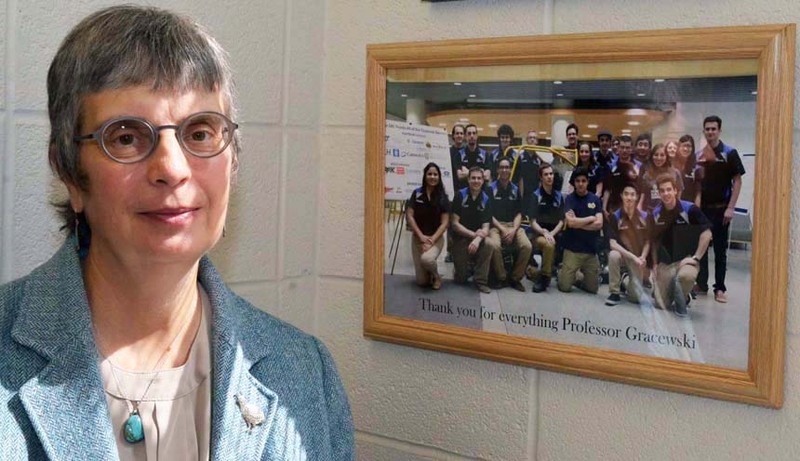 Gracewski, who joined the University in 1984, “epitomizes the faculty member who quietly goes about her work out of the limelight, all the while compiling a truly impressive list of accomplishments,” Heinzelman said. 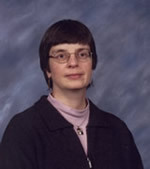 Was the first tenure-track and tenured female faculty member of the school of engineering. Is internationally recognized for her expertise in computational modeling of the interaction of ultrasound fields with bubbles in biological tissue. Has mentored at least 17 graduate student theses projects, and more than 25 undergraduate research experiences. Has taught 7 different undergraduate courses and 8 different graduate courses --invariably earning high marks from her students. Received the UR SEAS Undergraduate Teaching Award in 1998 and the University Dean’s Award for Meritorious Service in PhD defenses in 2008. Is a dedicated mentor and advisor for students in both MechE and BME. Sheryl Gracewski, at left, receives Lifetime Achievement Award from Wendi Heinzelman.